Months after Mohamed Ali, an inmate at the New Amsterdam Prison, was charged for impersonating First Lady Sandra Granger, his father was today charged for conspiring with him to obtain $2.1 M worth of credit on the false behalf of Minister of Public Health, Volda Lawrence. Azad Ali, 57, labourer of Albouystown, appeared before Senior Magistrate Leron Daly in the Georgetown Magistrates’ Courts. He denied the charge which stated that, between October 5, 2018 and October 10,2018, at Georgetown, he conspired with his son, Mohamed Ali and other persons unknown and obtained, from Julius Belgrave, $2.1M worth in phone credit, by falsely pretending same was for Minister Volda Lawrence. The defendant was represented by Attorney-at-Law Dexter Todd who, in a successful bail application for his client, told the court that his client had never been charged before. 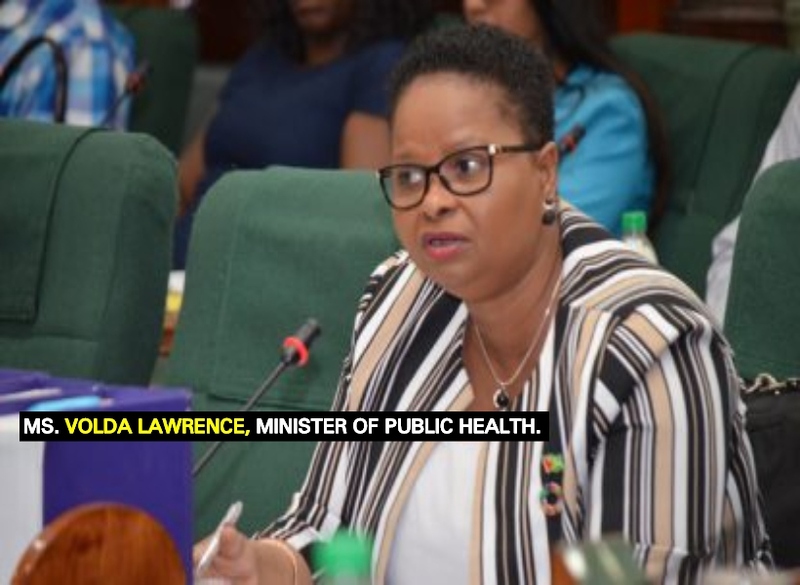 The lawyer argued that the police kept changing the name of the person on the charge, citing that it was first in the name of Former President Bharrat Jagdeo, then First Lady Sandra Granger, and now, Minister Volda Lawrence. However, facts presented by Police Prosecutor Sanj Singh stated that Ali was under investigation since last October, since he had allegedly been making calls to several individuals, pretending to be ministers and high ranking officials, and obtaining large sums of monies. The Prosecutor added that the defendant’s son was previously charged for a similar offence, and that the two of them conspired to commit such type of offences. While the Prosecutor did not object to bail being granted to the defendant, he asked that conditions be attached. The Magistrate, after listening to both sides, released Ali on $100,000 bail. He was also instructed to report every Monday to the Major Crime Unit until the hearing and determination of the trial. The father of five is expected to make his next court appearance on February 16, 2019. Last year, Mohamed Ali, who is serving an eight-year sentence, was charged for defrauding persons by impersonating the First Lady. Ali, who is a prisoner at the New Amsterdam Prison, was slapped with three fraud-related charges. According to information, Ali and other inmates, over a period of time, have been calling persons and pretending that they were the First Lady, duping the unsuspecting individuals out of money, using GTT Mobile Money (Guyana). They reportedly were able to fleece victims living in Hinterland communities, of hundreds of thousands of dollars.